Clark Drainage is a rapid response drainage maintenance company that has been keeping the pipes of Scotland free flowing and fully operational since 2005. We are available every single day of the year, twenty-four hours a day, and pride ourselves on our average response time of 1-2 hours. 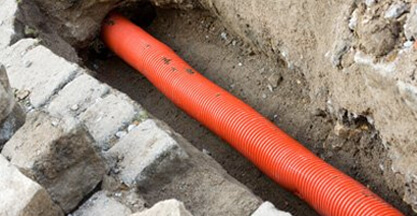 Through having over 10 years of experience in the blocked drains Midlothian industry, our workforce has amassed a wealth of know-how and have tackled every kind of drain-related job you can think of. This means that we are ready to tackle anything from smaller jobs including drain cleaning and drain unblocking to the most complicated industrial projects in the fastest and most cost-effective manner. 10 years, we have had the opportunity to establish an army of technicians with the knowledge and training to handle any scenario they are presented with from drain cleaning to complete installations. This allows us to manage problems with ease using the most cost-effective strategies, which produces savings which will be reflected in our costs. In addition, we believe in being as transparent as possible which is the reason why we will provide you with a fully fleshed out price estimation prior to starting work. On top of that, our staff will be as helpful as is possible and can answer any queries you might have to guarantee you are always kept in the loop. From the most rudimentary and routine of domestic jobs to big commercial and industrial projects, we have the ability to tackle any job that comes our way. We provide our teams with the best industry-leading gear to make sure our technicians are prepared to begin work the moment they get there – it’s not at all acceptable to take your money and waste your time while we wait on machines we should have with us. We have endeavoured to set up premises all over the Central Belt and the country to ensure that we retain the attentive service of a regional enterprise while having the ability to use the means of an extensive countrywide company. If you need an immediate drainage repair or just want to arrange some upkeep, give Clark Drainage a telephone call now on 0808 164 0776. 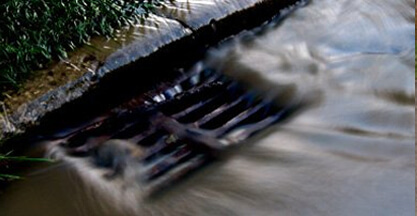 Blocked drains are the most typical situation that we are hired to take care of. They can crop up for many reasons and might present themselves apparently out of nowhere while bringing about major damage in a short time. Our sewage systems are consistently being invaded by problematic substances. If it isn’t hair and soap going down the plughole, then it’s fat and oil from our dishes. Even if you do everything you should be doing within your home, there is very little you can do to address the foliage and twigs which find access from your garden. There are precautions you can take to prevent these problems from developing, however it is quite normal for a clog to show up even when a network is fairly maintained. When sewage pipes stop functioning properly, it is time to employ a professional company with high-pressure water jetting apparatus. Many people do not give blocked drains the respect they deserve, assuming they are simply a hassle. This is simply not the way it is. The reparations which you can require following a blocked drain can be extremely pricey because of the widespread water damage and waterlogging. It is vital you employ qualified industry experts to undertake drain unblocking as quickly as you are able. We prioritise emergency jobs meaning that it is not unusual for us to be at your property inside one hour. Using state of the art high-pressure water jet technology, our qualified professionals will make swift work of any blockage inside your sewage system and can have the whole thing working at complete potential before you know it. 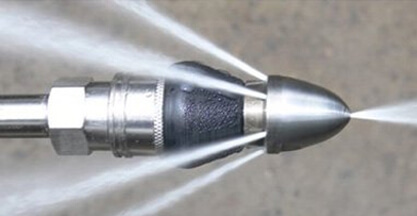 These pressurised water jets will blast awayalmost anything and are utterly harmless to the integrity of your pipes. Blocked drains do not just operate during normal office hours, and therefore neither do we. We are readily available 24 hours a day, each day of the year, to ensure that we are always there when you really need us. 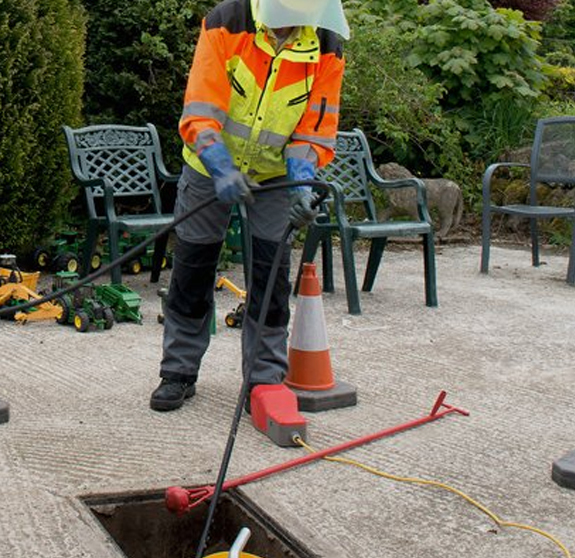 When it comes to a problem as pressing as drain unblocking, you need to make sure you are dealing with professionals that you can rely on, so get in touch with Clark Drainage now. To sustain our fantastic service and policy of fixing every blocked drain as soon as they occur, we are readily available every minute of every day. With regards to a problem as imperative as this, you cannot waste a second. You need to employ professionals whoyou are able to trust completely. That is where Clark Drainage excels. Getting your pipes cleaned is the simplest way to minimise the chance that clogs will accumulate to begin with. Keep in mind, blocked drains will not just suddenly arise, they are the result of the constant build-up of various contaminants and detritus. Drain cleaning will help to keep this inevitable occurrence in check. This procedure entails shooting high-pressure water throughout the pipes to scrub away future clogs prior to them becoming a problem, rather than patiently waiting until eventually they actually do damage. The service is economical and fast; we are able to finish the overall procedure in roughly 2 hours and will lower any risk of critical and harmful drainage catastrophes. Having said that, when you aren’t finding any of these situations, it doesn’t always indicate there aren’t any clogs building throughout the plumbing. 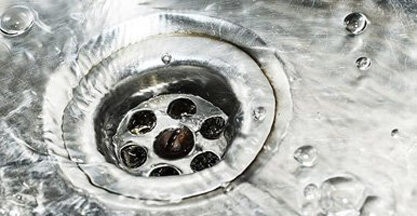 Anyone can reap the benefits of a specialist drain cleaning service – let’s get rid of the junk in your water flow system before it becomes problematic, not after. The inaccessible and below the ground character of sewage networks means that even the most expert of technicians can come across issues which they cannot distinguish right away. Previously, we might have been forced to undertake an expensive and disruptive excavation to ascertain that which has gone wrong, but not anymore. 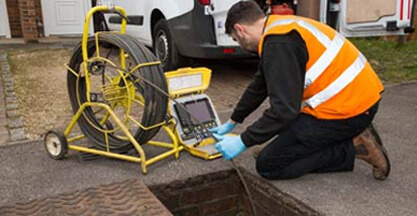 Utilising our CCTV Drain Survey Technology, we can locate the problem remotely and undertake a close examination. This excellent visual technology means we can move a compact HD video camera throughout your water flow system to seek out and reveal the problem. Since we cannot shrink ourselves to become one inch in size, there is no superior method of studying a sewage system. By taking a comprehensive HD look, we are able to formulate the most cost-effective method for drain unblocking or restoration and transfer these cost reductions on to you. We also believe great service calls for operating as transparently as we can, and so we’ll present you with the film of exactly what we found plus a document showing the survey in full. Whether some piping has collapsed, is blocked, or has become breached by tree roots, we will look for the problem and correct it using our cutting-edge CCTV technology. Excavation is, unfortunately from time to time an essential part of drainage maintenance. We are able to use our high-pressure water jets to get the vast majority of jobs, for instance blocked drains, done remotely. Having said that, every so often, we have to dig up a bit of ground so we can get up close and personal to repair damaged pipes. With some novice companies, excavation could be exceptionally costly and disruptive. However, our teams have been outfitted with the technology and training to make the process as efficient as possible. Whether you need merely a part of a pipe changed or an entire system revamp, our specialists will get to work quickly and undertake the necessary fixes efficiently, making what can be an awful process completely straightforward. 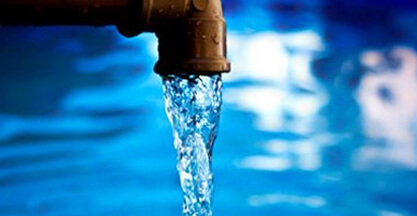 Water can do a huge degree of destruction within a short space of time, so there can be no delay with regards to getting your network back in working order. As mentioned, we are readily available every minute of the day 365 days a year. With bases of operation around Scotland, we’re never a long distance away. We have achieved a normal response period of 1-2 hours but tend to often get there far more quickly because we prioritize emergency situations. In addition, we arm our teams with all the hardware they need to commence repairs immediately, saving precious time and possible flooding. Settling for inferior service with regards to drainage maintenance is usually a costly and stressful mistake. Ensure you are utilising people you can trust. When your system is functioning as designed, individuals do not give a great deal of attention to it. When the water has been guided away it is no longer something we have to deal with; we barely give it a second thought. However, when the water stops draining away, suddenly our attentions change. We’re here to offer you all of the help and service that is required to keep your network operating nicely. If you would like to arrange a service now, including drain cleaning, drain unblocking, or an emergency repair, you can get us at 0808 164 0776. If you’re unable to talk at the moment and would prefer we phoned you, fill out the enquiry form on our site and one of our workforce will get in contact as soon as possible.